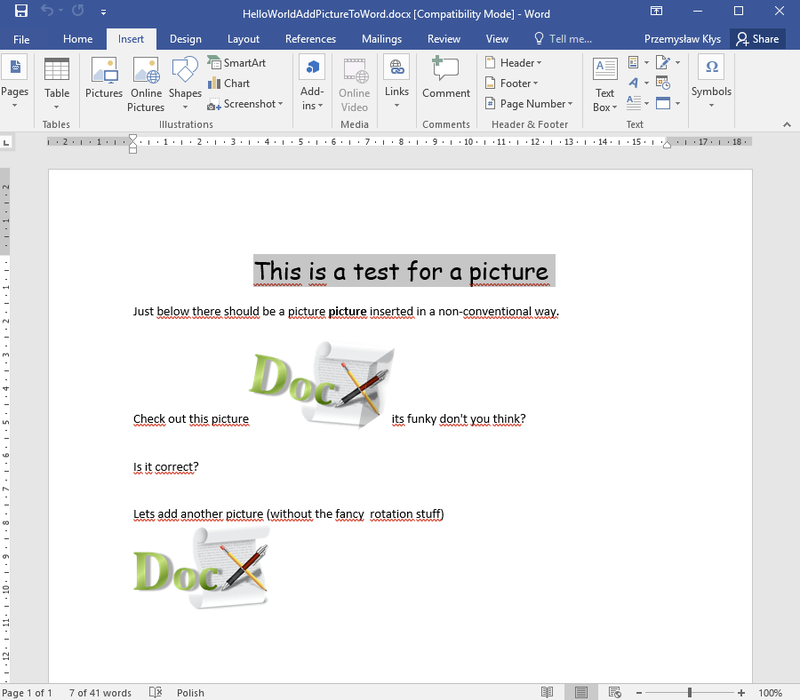 Following code is an example on how to add picture to Microsoft Word document using C# without needing to have Microsoft Word installed. // Add an image into the document. // Create a picture (A custom view of an Image). // Insert a new Paragraph into the document. // Append content to the Paragraph. 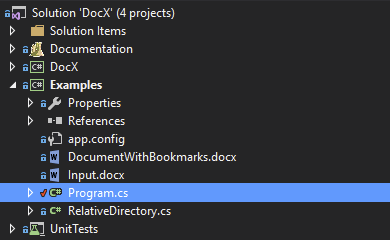 Above example is part of DocX Examples and can be found in DocX source package under Examples \ Program.cs. This example uses RelativeDirectory.cs class, as well an image. Both are required for the code sample to work and are included in the sources of DocX. Keep that in mind when working with the code to either download the DocX package or use your own image in it's place. Below you can find Relative Directory class just in case you have no access to sources.